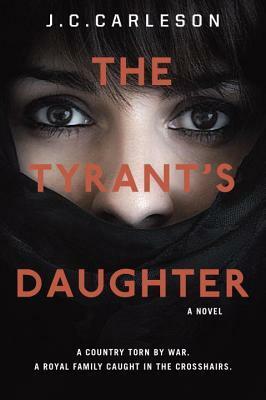 The Tyrant’s Daughter follows the story of 15 year old Laila. She is the daughter of a king from a Middle Eastern country. Her family lived a life of luxury until her father was killed in a coup. The rest of the family was able to escape with the aid of the United States. They moved to a small apartment in a suburb of Washington D.C. and are struggling to adjust to American life. Laila especially struggles with the realization that her father was not a beloved ruler, but more of a tyrant. In her country, women are not treated as equals. Interactions with American high school boys make her uncomfortable, but she develops a bit of a crush on one in particular. Her new friends are usually nice, but a bit dramatic at times, and really help Laila break out of her shell. They even convince her to attend a high school dance. Although Laila seems to be accepting her new life, her mother does not. She is conspiring with the CIA to take back control of their country. I book talked this to jr high students and they were excited to read it. They don’t like books that are over their heads, but Laila’s voice rings true to them. They were able to grasp her situation and wanted to learn more about it. I recommend this book to ages 12+. This is a great read with enough teen drama to keep them captivated, while teaching them about another culture a world away.